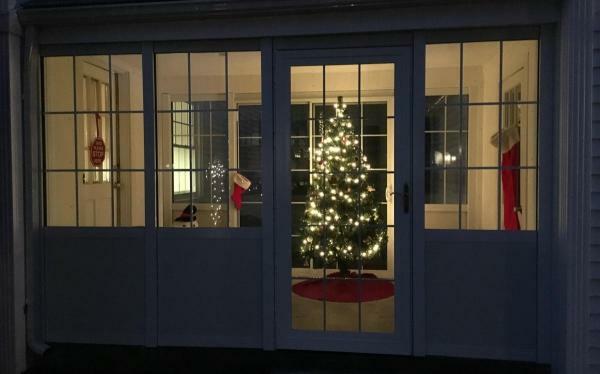 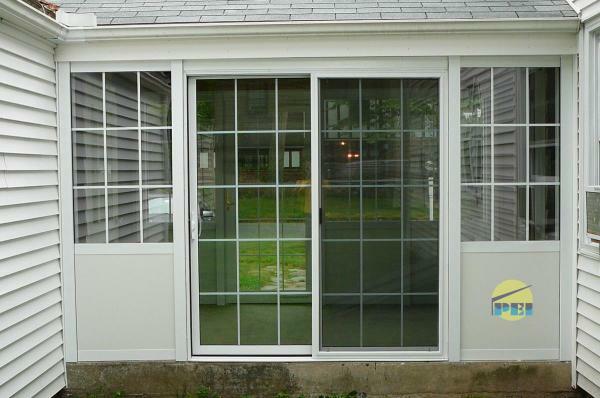 Below are photos of an 8' x 12' breezeway that features 1" insulated tempered high performance glass with internal grids and 1" aluminum faced solid foam-core panels. 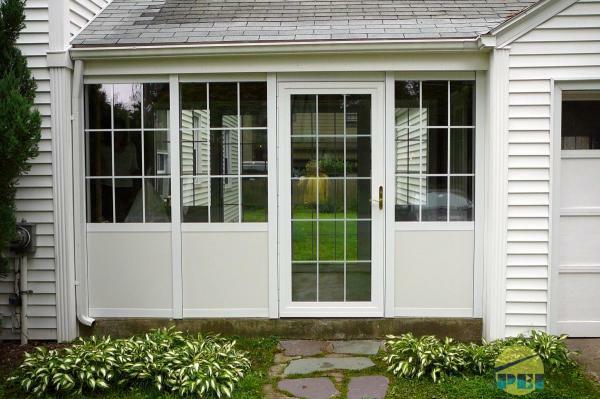 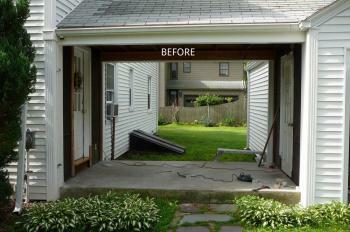 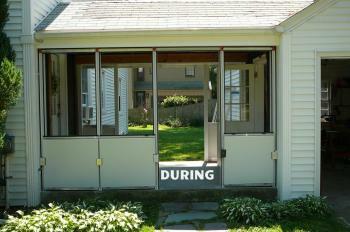 Also included is a sliding glass door and an outswing door. Pool Enclosures, Inc. also manufactures glassed-in swimming pool enclosures, conservatories, and Porte Cocheres. 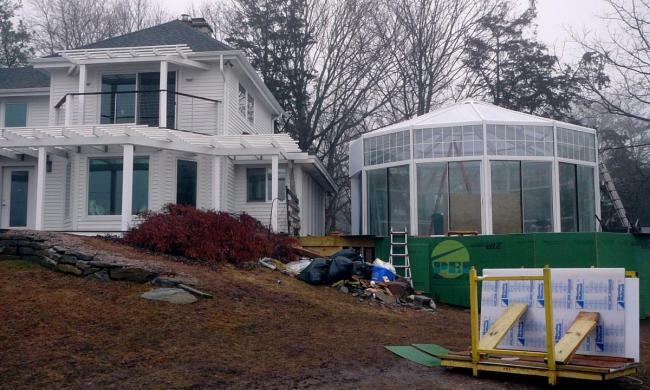 Below is a photo of a recently completed custom swimming pool enclosure in Guilford, CT.
Coming soon - a 16' x 32' freestanding gabled pool enclosure in Concord, MA.